There was a day when alt-rock was at its peek commercially and lately it’s as if it went back underground. 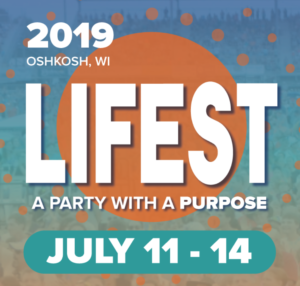 The problem is that it rarely fits the cookie cutter molds of contemporary radio, but most often it is far denser in content than the average pop-flavor of the day. It is the complexity of lyrics woven with the artistic tapestry of instruments that I love so much about the genre. 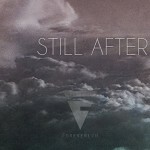 Suffice it to say, I am loving the ethereal sounds and keen lyrical content that poetically and rhythmically weave together each track on “Still After.” Foreverlin, a relatively new Christian alt-rock band from Wyoming, exhibits an alt-rock persona much like Cool Hand Luke, Hundred Year Storm, or The Roosevelts. It’s a refreshing return to a musical style I feel like I have lost touch with lately. Despite the challenges of fitting in on radio, Foreverlin has done a respectable job of breaking into the charts. This past summer single from the new album, “Broken Lines,” started charting very well on christianrock.net where it is still listed as No. 1 in the weekly top 12 songs. It is one of the key songs on the album, but it is surrounded by so many others as well. “Alaska” is an instrumental interlude that has some cool climatic transitions built mostly around the guitar and drum. Another favorite is “Sanguine,” a reflective and passionately worshipful song. It goes on and on with “Speak,” “Escape,” and “Morning.” The whole album is so well done and artistically eloquent. I highly recommend checking them out on either Facebook or their official website at http://www.foreverlin.com.